Handbags To Change Bags: Happy Easter! Happy Easter everyone, I hope your weekend has been as fun as ours. We've had an Easter party at our house and been to another party at Ian's parents house and the kids have loved it. 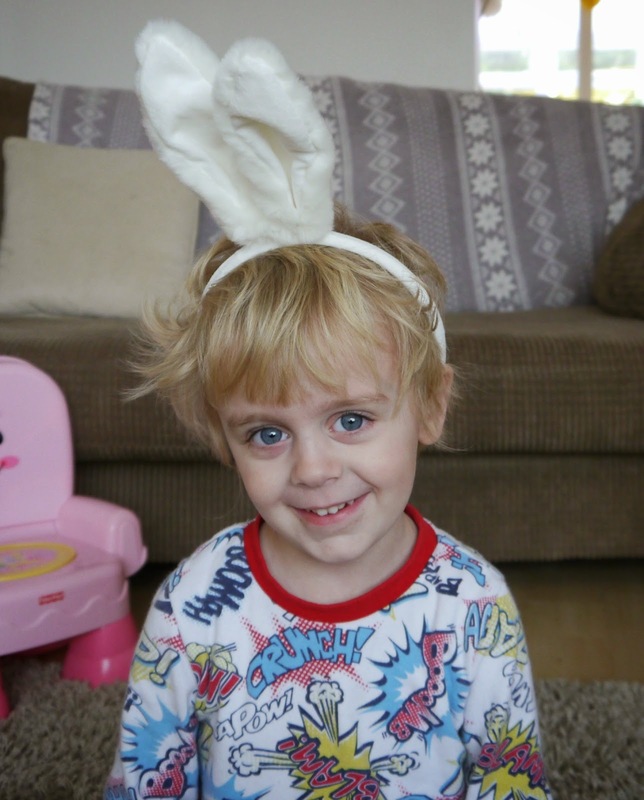 As usual the children have been spoilt with lots of chocolate and treats but we've all thoroughly enjoyed ourselves and I thought I'd share a few photos of our Easter festivities. Here are some photos of the party we had at our house, any excuse to decorate and have a party I'm there, I love it! We got all of our party decor from Tesco and I thought it was so cute. 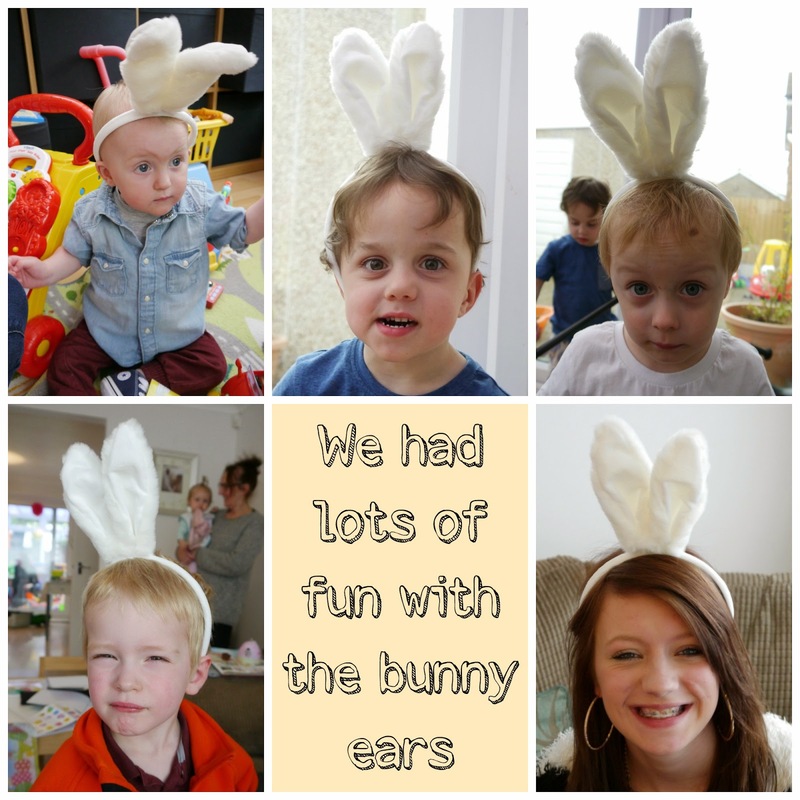 We had an Easter egg hunt and then the kids all had a go with the bunny ears. Summer wore her super cute bunny outfit from F&F and then we were off to Ian's parents for another party and more Easter fun. Riley had fun playing egg and spoon races with his cousin Alex and Summer loved finding lots of Easter treats with her big sister Natalie. We've had a lovely time together and the weather wasn't too bad either, hope everyone else had a good one! Awww looks like a lovely family weekend! Summers outfit is adorable! Love your jacket too. How Well Did You Sleep Last Night? Win 2 Tickets To The Baby Show!